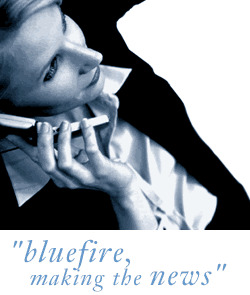 Bluefire Consulting | Senior Scada engineer : process control, infrastructure, PLC, automation, SCADA, utilities, water, energy, oil, gas, lead senior, manager, supervisor, engineer, HMI, electrical, industrial, project, install, engineering, quality, solution, system, application, technical. Senior SCADA engineer Coventry £43-£50K + bonus+33 days holiday + Excellent Pension + health. The Opportunity We are looking for two lead SCADA/automation process control systems engineers who have SCADA and supervisory experience and are looking to make the step up to a team leader position. Our client voted one of the top 50 companies in the world to work for are looking for candidates with the potential to be able to develop into senior SCADA manager positions in the future. £43-£50K + bonus+33 days holiday + Excellent Pension + health. We are looking for two lead SCADA/automation process control systems engineers who have SCADA and supervisory experience and are looking to make the step up to a team leader position. Our client voted one of the top 50 companies in the world to work for are looking for candidates with the potential to be able to develop into senior SCADA manager positions in the future. In this role you will provide leadership and guidance to around 10 SCADA / control & automation engineers completing large infrastructure projects in the water, gas, oil and renewable energy industries. These projects are to install, commission, repair and maintain large SCADA and process control systems on large infrastructure projects within the utilities industry. You will play a lead part in the lifecycle of any projects that are undertaken. You will be a point of contact for customers and provide technical expertise to other internal departments such as sales, software, systems and the project office. Your role will be split 70/30 between working out of the head office in Coventry and visiting and spending time on different sites. You will be responsible for driving projects to ensure they are completed on time, cost and quality, ensuring customer satisfaction and repeat business. Reporting to the engineering manager you will have day to day line management responsibility for your team of SCADA/process control engineers and you will be responsible for developing and mentoring each engineer. You will complete regular performance appraisal to allow each engineer to understand where they are succeeding and where there are further areas for improvement. You will be responsible for promoting company programmes, initiatives, values and expectations to your team. Ideally you will come from a SCADA/telemetry/ engineering background and have been involved with large SCADA/ control & automation infrastructure projects previously, although engineers with any experience within SCADA /process control, telemetry, computer networking, electronics, software engineering, low voltage electrical design, digital communications or industrial control systems and the leadership skills we are looking for would be considered to progress further. Candidates should be educated to degree level in an engineering discipline or alternatively possess at a HNC in engineering and compliment this with working experience. You should be a technically talented engineer with a passion for leading and mentoring others to continually improve and develop. You should have a strong determination to better yourself and have the drive and ambition to want to reach a senior management position within a large organisation. We are looking for candidates with strong personalities who enjoy to be challenged and thrive under pressure. We are looking for self-motivated leaders who are methodical in their approach and have the correct blend of interpersonal skills and technical competency's. Candidates who will be suitable for this role should have previous line management, team leader, supervisory or mentoring experience. Candidates with the necessary technical and leadership skills who have worked within the utilities sectors or industrial process industries in the past would be warmly received. £43000-£50000 + bonus + working Monday -Friday shifts 9am-17.00pm +33 days holiday + Excellent Pension + Private health. process control, infrastructure, PLC, automation, SCADA, utilities, water, energy, oil, gas, lead senior, manager, supervisor, engineer, HMI, electrical, industrial, project, install, engineering, quality, solution, system, application, technical.